Last Action: 03/10/2015 H Scheduled for public hearing on . . .
Caption: Relating to a high quality prekindergarten program provided by public school districts. Caption: Relating to college and career readiness training for certain public school counselors. Caption: Relating to the creation of a task force to evaluate state assessment instruments administered to public school students with significant cognitive disabilities. Caption: Relating to a requirement for school districts to report class size to the Texas Education Agency. Caption: Relating to limits on the size of certain classes in public schools. Caption: Relating to termination or suspension without pay of certain school district employees. Caption: Relating to the creation of a task force to evaluate the English language proficiency standards used in public schools. Caption: Relating to the review by a school district board of trustees of a hearing examiner’s determination regarding good cause to suspend a teacher without pay or terminate the teacher’s contract. Caption: Relating to the consideration of the performance of certain students of limited English proficiency on state assessment instruments. Caption: Relating to prevention of discrimination and harassment in public schools. Caption: Relating to academic assessment of public school students with significant disabilities. Caption: Relating to human sexuality education in public schools. Caption: Relating to the availability of free prekindergarten programs in public schools. Caption: Relating to studying the cost of education index. Caption: Relating to inclusion of a course on the United States Constitution in the curriculum requirements for public high school students. Caption: Relating to the posting of the Ten Commandments in public school classrooms. Caption: Relating to limits on the size of fifth grade classes in public schools. Caption: Relating to information reported by a public school district regarding prekindergarten classes. Caption: Relating to information printed by school districts on high school diplomas. 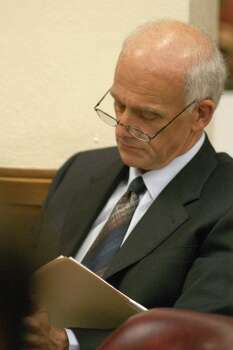 Caption: Relating to censure of a member of a school district board of trustees. Caption: Relating to the carrying of concealed handguns by certain persons attending a school board meeting. Caption: Relating to the first day of instruction at a public school. Caption: Relating to the provision of human sexuality and family planning instruction in public schools. Caption: Relating to certification requirements for teachers in bilingual education. Caption: Relating to acceptable conduct of students in kindergarten through grade five. Caption: Relating to the optional flexible school day program provided by school districts. Caption: Relating to school social work services in public schools. Caption: Relating to the first day of instruction in certain school districts. Caption: Relating to the route a school bus takes when transporting a public school student. Caption: Relating to eligibility for a public education grant of certain students receiving special education services. Caption: Relating to the composition of the board of trustees of certain independent school districts. Caption: Relating to certain prekindergarten programs offered by a school district. Caption: Relating to employment of certified school counselors by school districts. Caption: Relating to the evaluation of an internal auditor employed by a school district. Caption: Relating to the receipt of an exemption or waiver for a school district or campus that is academically unacceptable. Caption: Relating to the creation of a task force to study the standards of the Bilingual Target Language Proficiency Test administered to bilingual educators in public schools. Caption: Relating to the creation of a task force to evaluate class size limits in public schools. Caption: Relating to a federal waiver to exempt public school students with significant cognitive disabilities from annual assessment requirements imposed by federal law. Caption: Relating to the responsibilities of public school counselors. 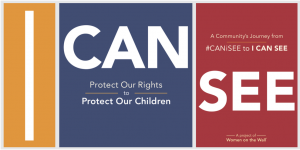 Caption: Relating to notifying a parent or guardian whether an employee of a school is appointed school marshal and the confidentiality of information submitted to or collected by the Texas Commission on Law Enforcement in connection with a certification for appointment as school marshal. Caption: Relating to requiring State Board of Education approval to offer advanced placement and international baccalaureate courses in public high schools. Caption: Relating to the failure to attend school for part of a day. HB 391 Author: Muñoz, Jr.
Caption: Relating to providing free full-day prekindergarten for certain children. Caption: Relating to the creation of a task force to evaluate training provided to members of a school district board of trustees. Caption: Relating to the creation of a task force to determine alternative methods of assessing the performance of public school students and school districts. Caption: Relating to school district selection of an alternative assessment method in place of state-administered assessment instruments. Caption: Relating to the instruction of American Sign Language in public high schools. Caption: Relating to adapting the public school physical education curriculum to accommodate the needs of students with mental disabilities. Caption: Relating to a prohibition on the use and possession of vapor products on school property. Caption: Relating to successful completion of dual credit courses as an alternative to compliance with end-of-course assessment requirements. Caption: Relating to a prohibition of limitations on the number of dual credit courses or hours in which a public high school student may enroll. Caption: Relating to the issuance of tax-supported bonds by certain school districts and increasing the tax rate limitation on the issuance of those bonds. Caption: Relating to educator financial incentives and salary contingencies based on student performance on certain assessment instruments. Caption: Relating to the creation of an advisory council to research and make recommendations on the use of assessment instruments in public schools. Caption: Relating to the notice to the parent or other person having lawful control of a public school student concerning the student’s class performance. Caption: Relating to establishing a pilot program in designated public high schools in certain municipalities for placement of students in Junior Reserve Officers’ Training Corps programs as an alternative to placement in disciplinary or juvenile justice alternative education programs. Caption: Relating to payment by a school district of the costs of developmental coursework provided by an institution of higher education under the success initiative. Caption: Relating to the use of epinephrine auto-injectors on public and open-enrollment charter school campuses and at off-campus school-sanctioned events. Caption: Relating to corporal punishment in public schools. Caption: Relating to a review by the commissioner of education of state law regarding student suspension, expulsion, or other disciplinary action and the implementation of that law by school districts. Caption: Relating to restricting certain state and school district assessments of public school students in prekindergarten and kindergarten. Caption: Relating to the scheduling of the last day of school for students by public school districts. Caption: Relating to public school finance and the formation of school finance districts. Caption: Relating to the training requirements for a member of the board of trustees of a public school district. Caption: Relating to public school students evaluated for purposes of accountability ratings. Caption: Relating to funding for career and technology programs in public schools. Caption: Relating to the small and mid-sized district adjustments under the Foundation School Program. Caption: Relating to permissible uses of the bilingual education allotment provided under the foundation school program. Caption: Relating to School Bus Safety Week in public schools. Caption: Relating to cardiac assessments of participants in extracurricular athletic activities sponsored or sanctioned by the University Interscholastic League. Caption: Relating to the rulemaking authority of the State Board for Educator Certification. Caption: Relating to the election of trustees of certain school districts from single-member trustee districts. Caption: Relating to the number of charters the State Board of Education may grant for open-enrollment charter schools. Caption: Relating to operation of public schools on certain election days. Caption: Relating to outreach materials to foster awareness of recent public school curriculum changes. Caption: Relating to the employment of certified school counselors by school districts. Caption: Relating to the use of public school counselors’ work time. Caption: Relating to participation of certain school districts in the three-year high school diploma plan pilot program. Caption: Relating to the administration to public school students in certain grades of state-administered assessment instruments. Caption: Relating to eliminating certain state-required assessment instruments and certain end-of-course assessment instruments administered to public school students in certain grades. Caption: Relating to the essential knowledge and skills of the required public school curriculum and to certain state-adopted or state-developed assessment instruments for public school students. Caption: Relating to the purchase of certain insurance by public school districts. Caption: Relating to funding for the Texas Academy of Leadership in the Humanities. Caption: Relating to eliminating certain state-required assessment instruments administered to public school students in certain grades. Caption: Relating to removing the requirement of satisfactory performance on state assessment instruments for public school grade-level promotion and providing alternative compliance for the requirement of satisfactory performance on state assessment instruments for graduation. Caption: Relating to the provision of a transportation allotment under the foundation school program based on the price of gasoline. Caption: Relating to employment of persons with professional qualifications as public school teachers. Caption: Relating to administering certain assessment instruments to public school students in certain grades for diagnostic purposes only. Caption: Relating to inclusion of a civics test in the graduation requirements for public high school students. Caption: Relating to review of public school instructional materials for compliance with accessibility standards. Caption: Relating to a defense to prosecution for and civil liability of an educator who uses force or deadly force to protect the educator’s person, students of the school, or property of the school, and suspension of a student who assaults an employee of a school. Caption: Relating to employment of persons with advanced degrees as public school teachers. Caption: Relating to evaluating the performance of dropout recovery schools. Caption: Relating to school marshals for private schools, notifying a parent or guardian whether an employee of a public or private school is appointed school marshal, and the confidentiality of information submitted to or collected by the Texas Commission on Law Enforcement in connection with a certification for appointment as school marshal. Caption: Relating to provisional special education funding for certain students in public schools. Caption: Relating to the balance maintained in a school district’s general fund and associated requirements regarding the general fund. Caption: Relating to exclusion of certain public school student disciplinary actions from reports required by state or federal law. Caption: Relating to the repeal of provisions requiring school districts to reduce their wealth per student to the equalized wealth level. Caption: Relating to the Texas High Performance Schools Consortium. Caption: Relating to limiting certain state-required assessment instruments administered to public school students in certain grades to assessments required by federal law. Caption: Relating to a personal financial literacy component in a statistics course offered for public high school graduation. Caption: Relating to mental health screening for public school students who may be a danger to self or others and to suspension or educational placement of those students; creating an offense. Caption: Relating to requirements regarding electronic access to instructional materials provided in printed book format purchased for public schools. Caption: Relating to the placement of video cameras in self-contained classrooms providing special education services. Caption: Relating to reporting of teacher turnover information by public schools. Caption: Relating to the first day of the school year for public schools. Caption: Relating to a reduction in the cost of attendance credits for certain school districts that purchase windstorm and hail insurance. Caption: Relating to a gold standard full-day prekindergarten program provided by public school districts. HB 1135 Author: Muñoz, Jr.
Caption: Relating to a transportation allotment for a school district transporting students to dual credit courses. Caption: Relating to the establishment of a workgroup to examine the implementation of dating violence awareness and education programs in public schools. Caption: Relating to funding for public school career and technology education programs. Caption: Relating to eliminating satisfactory performance requirements for public school end-of-course assessment instruments as a criterion for promotion or graduation. Caption: Relating to the percentage of the annual distribution from the permanent school fund set aside for the state instructional materials fund. Caption: Relating to the assessment of public school students in writing and English language arts. Caption: Relating to the applicability to open-enrollment charter schools of certain laws regarding local governments and political subdivisions. Caption: Relating to the applicability of certain immunity and liability laws to open-enrollment charter schools. Caption: Relating to creating a program to recognize before-school and after-school programs that promote healthy eating and physical activity. Caption: Relating to the creation of a joint interim committee to study and make recommendations regarding early childhood education. Caption: Relating to allowing certain extracurricular activities required by public school classes for agriculture, food, and natural resources. Caption: Relating to course content requirements for human sexuality instruction provided by a public school. Caption: Relating to eliminating the requirement that a school district assess the physical fitness of students. Caption: Relating to the membership of school district and open-enrollment charter school concussion oversight teams. Caption: Relating to the required qualifications of persons admitted to educator preparation programs. Caption: Relating to the use of school committees to make determinations regarding graduation for certain public high school students who fail to perform satisfactorily on end-of-course assessment instruments. Caption: Relating to a program to provide a free or reduced-price breakfast to eligible students attending a public school and the method of determining the number of educationally disadvantaged students. Caption: Relating to review and modification of the essential knowledge and skills of the required public school curriculum. Caption: Relating to a study on the performance and operations of public schools that operate on a year-round system. Caption: Relating to student eligibility for Foundation School Program benefits. Caption: Relating to the assignment of a public school student to an inexperienced or uncertified teacher. Caption: Relating to the salary paid to classroom teachers employed by public schools. Caption: Relating to the availability of certain school district financial information on certain districts’ Internet websites. Caption: Relating to the bilingual education allotment provided under the public school finance system. Caption: Relating to the assessment of fourth and seventh grade public school students in writing and English language arts. Caption: Relating to the placement of money in the state instructional materials fund for public schools to use to purchase instructional materials. Caption: Relating to the cost of an attendance credit under the public school finance system. Caption: Relating to a limitation on the amount of school property tax revenue that is subject to recapture under the public school finance system. Caption: Relating to the equalized wealth level and the guaranteed yield under the school finance system. Caption: Relating to a prohibition on vendor contact with a member of the board of trustees of an independent school district during the procurement process. Caption: Relating to public school Internet website information concerning local programs and services available to assist homeless students. Caption: Relating to notification of parents regarding the immunization status of students enrolled at a public school. Caption: Relating to state assistance for school employees uniform group health coverage. Caption: Relating to grants for school districts and campuses providing blended and individualized learning staff development activities. Caption: Relating to the establishment of a grant program to assist school districts in developing or implementing innovative blended learning initiatives. Caption: Relating to eligibility of certain school district employees for certification as a principal. Caption: Relating to the authority of a school district to excuse from school attendance a student who is exempt from a final examination. Caption: Relating to authority of public and open-enrollment charter school campuses to maintain a supply of and administer anaphylaxis medicine. Caption: Relating to the public school finance system. As we move closer towards the opening of the 83rd Texas legislative session on January 8, 2013 it is time for the gloves to come off! Amazingly, some of the “Texas 15” who stood on PRINCIPLE in 2011 and voted against the MODERATE Joe Straus for House Speaker seem to have lost their way and have made all sorts of excuses as to why in 2013 Joe Straus is now the champion of true CONSERVATIVE values. My most favorite of the absurd excuses is the one about Straus dangling committee chairmanships in front of their noses and the reasoning that with such power they will be able to get their conservative legislation passed. Really people? It seems some have forgotten about a little thing called the “Calendars Committee” which Joe Straus will NEVER give up control of via his favorite moderate leaning liberal lieutenants. So no matter what legislation any of the “Turncoats” may get through their committees – the Calendars Committee Chair really controls the ball and in their heart of hearts they know that truth. The Reps who use that excuse are either delusional, void of common sense, or flat out lying to themselves and their constituents. For those who are apparently suffering from amnesia, it is time they are reminded how a REAL conservative (like Rep. David Simpson) speaks and acts when it comes to issues that are important to us. In case they’ve forgotten, those issues include things such as LIFE, ending TSA groping, illegal immigration, the Budget Compact, and now we can add law enforcement molestation of travelers on Texas highways! You know – the issues many of the wavering CONSERVATIVE Reps led their constituents to believe they would fight tooth and nail for if they were re-elected. For instance, now some say Straus is REALLY pro-life since he didn’t kill the sonogram legislation in 2011. 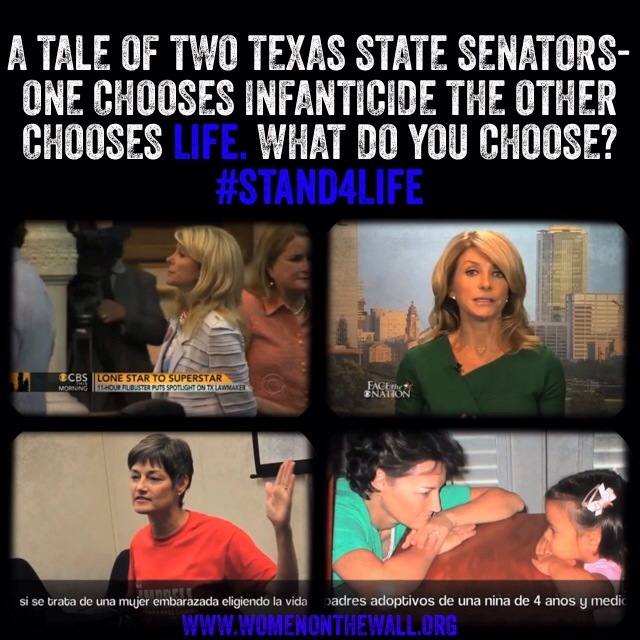 Of course he really had no choice after Sen. Dan Patrick put him on the spot at the 2011 Texas Rally for Life when he made the comment about the great Texas pro-life leadership (Perry and Dewhurst) then almost choked on his tongue when he realized he had to mention Straus too! NOT A PRIORITY – really Joe? Excerpts from Houston Chronicle article quoting remarks from Speaker Straus on Rep. Simpson’s TSA anti-groping bill: “House Speaker Joe Straus on Friday called an “anti-groping” bill favored by Gov. Rick Perry a “publicity stunt” and said he would not allow it to come up for a vote as written. PUBLICITY STUNT? 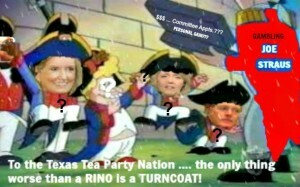 Turn Texas into a laughingstock? For any intelligent human who is not on the take for the goodies Speaker Straus is handing out, those remarks (to say the least) are insulting. Maybe Joe doesn’t mind his fellow Texans (young, elderly and sick) being humiliated and groped but several of his fellow elected officials understand the severity of this growing assault on the rights of Texans and they are willing speak out. “The author of House Bill 41, Rep. David Simpson (R-Longview), says it was never his intent to create a publicity stunt. So, who do you trust to protect our individual freedoms, the prosperity of future generations of Texans, the unborn who are murdered daily because people like Joe Straus don’t consider them “worthy” in HIS list of priorities for protection? One can only imagine how unconcerned he will be about the newest threat to the dignity and constitutional rights of women traveling Texas highways now that the Texas DPS has decided that body cavity searches on the side of the road are their latest tool of intimidation for travelers guilty of the “crime” of throwing cigarettes out their car windows. For those who ran as CONSERVATIVES during the last election, if they cast their vote for Straus as House Speaker in 2013 they are really going to have a hard time putting lipstick on that pig come GOP primary time. You know what they say, “In November We Will Remember.” Of course, they are hearing that from the Straus’ big money circles as well so I’d say they have some serious soul searching to do. When they cast that vote on January 8th, they can either go down as a person who stood on principle with honor for what is right OR they can go down in flames as a Turncoat who helped destroy the once Great State of Texas. Looks like the ball is in their court BUT we will be there with boots on the ground to shine a bright light on the outcome of the most important vote in the 83rd session of the Texas legislature! Debate over the intended use and future of the Parrie Haynes Ranch continues to concern a variety of Texas interest groups. The 4,500 acre central Texas property provides outdoor learning and other recreational opportunities to assorted children from orphans and other “at risk” youth to school and military-sponsored organizations to groups like 4-H, Boy Scouts and Girl Scouts. Its fate will likely be decided based on the passage or defeat of House Bill 244, a bill which transfers control of the property from the Texas Parks and Wildlife Department to the Department of Family and Protective Services. The bill also provides for lease or sale of the ranch. Fifteen months ago, per the Texas Sunset Advisory Commission’s recommendation, TPWD assumed formal responsibility of the Parrie Haynes Ranch and began working on a management plan as per the Commission’s directive. Since the 1960s, Texas Youth Commission (or its predecessors) had operated the ranch but with mixed results. In the early ’90s, official control remained with TYC, but a lease agreement with TPWD was brokered. Under the lease the department not only took on management duties, but began hosting outdoor learning and recreational opportunities for all ages with an emphasis on youth programs. The management change also allowed this central Texas wilderness with its unique outdoor learning and recreational environment to become accessible to more than 2 million people within the locale’s 75 mile radius. In November 2008, the Sunset Advisory Commission noted judicial action as the state-mandated process for transferring control of the trust containing the 4,500 acre property from the Texas Youth Commission to the Parks and Wildlife Department. As an estate bequest to the state, the Commission cited TPWD as “well positioned to operate the Ranch in accordance with Parrie Haynes’ wishes” and subsequently ordered TYC and TPWD to work jointly with the Attorney General’s office and appropriate courts in executing the transfer. This process was underway yet stopped when Rep. Will Hartnett, R-Dallas, filed HB 244 which appears to contradict the Sunset Commission’s recommendation both by calling for the legislature, not the courts, to authorize the management change as well as by ordering a transfer of ranch control not to TPWD, but instead to the Department of Family and Protective Services. Parrie Haynes’ estate was designated “for the use and benefit of orphan children.” Haynes’ 1954 will directed her residuary estate to help orphans, however with her 1957 death, the Killeen Independent School District receiving an additional bequest of $100,000 for scholarships suggests Haynes’ interests extended to assorted youth benevolence efforts. Ranch lore tells of Haynes’ unsuccessful attempt in giving land to the Girl Scouts – an additional indicator, some say, of an openness for her land to benefit a variety of children. The care of orphans is much different today than during Parrie Haynes’ life. Orphans are far more integrated into mainstream society. Parrie Haynes likely never imagined how a breakdown of traditional family structures would create additional categories of children in need classified using new terms like “at risk.” Her actions, however, did seem to indicate a non-exclusionary interest in both children and the use of her land and other resources. Since the Ranch is held in trust, the Legislature cannot transfer the property outright; the State would need to get judicial approval of the transfer and a modification authorizing TPWD to use the Trust for purposes approved by the Court. Such a transfer would include all properties, investments, and rights associated with the Haynes Trust, as determined by the court. In doing so, it would be incumbent upon TPWD to show the Court that its use of the property is more closely aligned with the intended use of the property as outlined in the Haynes will than other potential uses of the property by the State. Although a court may modify the terms of the trust in the future, while still coming as close as possible to fulfilling the wishes of the Haynes will, this recommendation is based on the findings that TPWD’s current activities on the Ranch are already more closely aligned with the intent of the will than other uses. It is curious that the Department of Family and Protective Services, an agency seemingly far less prepared to manage a 4,500 acre facility compared to TPWD, would not be subject to the same process and criteria. And with this deviation, would a transfer based on the passage of House Bill 244 be a valid act? The center was born from faith and a vision of social justice in 1985 when the Congregation of Benedictine Sisters in Boerne, Texas founded the center to improve health care access for the poor. •Security fair and adequate taxation to pay for critical public investments in Texas. Friends of the Parrie Haynes Ranch,Inc. is a Citizen Volunteer Support Organization whose purpose is to provide support that enables Parrie Haynes Ranch to contribute to the mission of the Texas Parks and Wildlife Department by providing outdoor learning and recreational opportunities to Texans, especially the youth of Texas, while preserving and protecting the natural and cultural resources of the Ranch. Rep. Ralph Sheffield, R-Temple, whose district includes the ranch, has expressed opposition to HB 244. Rep. Jimmie Don Aycock, R-Killeen, has spoken of being “acutely aware” of community concerns. Fears of DFPS-control bringing a selloff of the land – a clear provision of HB 244 – are a special concern also routinely voiced on the Save Parrie Haynes Ranch Facebook page. The Bell County Commissioners as well as the Coryell County Commissioners have issued resolutions supporting TPWD management of the ranch. Further support by the Greater Houston Horse Council, users of the 30+ miles of ranch trails, illustrates how TPWD also brings leadership adept at creating and managing income-generating opportunities to help offset other facility-related costs. House Bill 244 has been assigned to the Committee on Judiciary & Civil Jurisprudence although no public hearing has yet been scheduled. Whenever it happens, the intent of Parrie Haynes’ final wishes, the fulfillment of those wishes, the protection of Texas orphans’ interests plus the process and motivation for transferring property control are all topics likely to be addressed. In talking with The Texas Tribune, Hartnett recently characterized potential loser-pays legislation as an “uphill battle this session, given all the other pressing items that the Legislature has to deal with.” Ironically, one might expect the Parrie Haynes Ranch to also fall into this category. That it doesn’t is why the timing and motivation of HB 244 continues generating interest and creating questions. Lou Ann Anderson is an advocate working to create awareness regarding the Texas probate system and its surrounding culture. She is the Online Producer at www.EstateofDenial.com, a Policy Advisor with Americans for Prosperity – Texas Foundation and a Director of Women on the Wall. Lou Ann may be contacted at [email protected]. An aging population, longevity, economic uncertainty and liberal definitions of “incapacitation” are factors creating an environment in which people of all ages find their individual liberties and assets being threatened. Probate instruments (wills, trusts, guardianships and powers of attorney) are becoming choice tools in these efforts. Mounting pressure has states like Texas and Arizona addressing probate abuse with resulting policy battles positioning lawmakers between a public demanding meaningful probate reform and a legal industry seeking to maintain its lucrative status quo viewed by many as predatory in nature. Probate reform is about protecting people from a legal venue that has become a growth industry for unscrupulous Involuntary Redistribution of Assets (IRA) perpetrators adept at using probate courts and instruments to hijack personal liberties as well as to loot private assets. These actions often negatively impact taxpayers as IRA actions can lead to people never before eligible or inclined to also end up on public welfare rolls. At a recent hearing, Sen. Chris Harris (R-Arlington), the bill’s author, said he’s trying to preserve wards’ estates – currently the main source from which guardianship-related legal costs are deducted – by providing a vehicle to hold initiators of non-meritorious cases financially responsible. Guy Herman, Presiding Judge of the Statutory Probate Courts of Texas, spoke in favor of the bill attributing certain probate disputes to sibling rivalry or long-standing family grudges. While this bill and SB 220, another bill featuring a similar provision, are theoretically sound, advocates with probate court experience rightfully fear a different use of such legislation. Probate judges, often in conjunction with probate lawyers, are routinely cited as sources of estate abuse. Growing media scrutiny supports this trend though criminal or professional consequences rarely occur. And if they can afford participation in the pay-to-play civil court system, targeted parties still often suffer unresolved, sometimes irreparable, harm. The legal industry comprises lawyers, judges and other court-associated personnel and its talking points promote a “blame the disgruntled families” position. Limited legitimacy to this point exists. Interested parties responding to unnecessarily aggressive guardianships or other estate looting actions also legitimately occurs – a point these insiders rarely acknowledge. And with this, tension over prospective legislation endures. Targets of abusive probate actions know how theoretical public safeguards built into the probate system can in fact be executed in a manner harmful to the public and beneficial to IRA perpetrators. Opponents of SB 286 see the bill as giving judges a new retaliatory power against families fighting questionable probate actions. This power could additionally serve as a deterrent for those seeking to further address probate corruption. Exempt the county from paying the fees of a poor ward in probate court if the ward’s family is affluent. The probate judge would charge the fee to the family in these cases. SB 286 says the court may allocate costs “among the parties as the court finds is fair and just.” While the bill may righteously intend to protect against frivolous probate actions, might a Dallas County probate judge use its non-specific language for the “fair and just” assessment of probate court costs because families appear “affluent”? This could be especially dangerous at a time when overextended counties are urgently looking for cost-shifting opportunities. Stranger things happen in probate courts on a daily basis. While Sen. Harris appeared quite earnest in speaking about SB 286, experience fosters extreme caution and skepticism in those having lived through probate system abuse so the tension continues. Opportunity exists, however, if this measure were part of a reform package. requires probate law training for judges. establishes an accountability panel with private citizens. enforces the rights of personal directives. keeps families involved in their loved one’s care. demands a written accounting of expenses from the ward’s estate. allows for a change of fiduciary. HB 2424 was created in response to experiences documented by a growing state-level grassroots reform movement that includes probate abuse victims. As in Texas, Arizona lawmakers find themselves between citizens demanding reform of a corrupt system and the system’s caretakers who advocate measures viewed by many as self-serving and “feel good” rather than substantive. Legal and financial interests that strongly oppose HB 2424 are instead supporting SB 1499 which provides few public protection remedies and was written largely by those who control – and often profit from – Arizona’s probate system. Despite opposition efforts from four different lobbying houses, HB 2424 continues to make its way through the Arizona legislature due to lawmakers so far connecting more with public reform demands than with legal and financial interests controlling the state’s probate system. With all the 82nd Texas Legislature is facing, probate reform was never expected to be a hot-button issue. At the same time, however, vigilance is required. Stopping unintended but potentially harmful legislation can be as important as passing good. An Arizona-style probate reform package incorporating SB 286 or similar language is needed in Texas. And if strongly opposed by the legal industry, that’s a good signal the bill is likely to provide the public true protections from the otherwise predatory culture surrounding the probate system. The Parrie Haynes Ranch is a 4,500 acre property located in Bell County just south of Fort Hood and not far from the new Texas A&M University-Central Texas campus. It was left in a will to the state of Texas for “the use and benefit of orphan children” and in recent years has fulfilled this directive plus more. Though 45 minutes north of the Texas State Capitol, few legislators have probably visited the facility whose future is now in question and fate may be decided through House Bill 244. On Nov. 12, Rep. Will Hartnett, R-Dallas, pre-filed House Bill 244 which requests control of the trust containing the Parrie Haynes Ranch to be transferred from the Texas Youth Commission to the Department of Family and Protective Services. Rep. Ralph Sheffield, R-Temple, has also been advocating a transfer of the trust, but believes the Texas Parks and Wildlife Department is the appropriate designee, a point with which the Sunset Advisory Commission agreed and the transfer would have been completed except for the filing of Hartnett’s bill. In a November 2008 report, the Sunset Advisory Commission recommended that “TPWD and TYC jointly seek representation by the Attorney General to pursue a modification of the Trust terms and purpose of the Parrie Haynes Trust that would designate TPWD as the state agency responsible for the Ranch and Trust.” The Commission also directed TPWD to increase its use of the Parrie Haynes Ranch to be as consistent as possible with the will’s intent. The Commission found that as the ranch is held in trust, the Legislature cannot simply transfer the property to TPWD. The Commission, citing the Texas Property Code, said the court can modify a trust to ensure that it conforms as closely as possible to the original intent. Intervention by the Attorney General is appropriate both as that office has the primary duty of representing state agencies in civil cases and because state law also authorizes the Attorney General to intervene in a proceeding involving a charitable trust, on the behalf of the interest of the general public of the State. To Have and to Hold above described residuary estate unto the said State of Texas for the use and benefit of orphan children as provided in the Parrie Haynes will, and its assigns forever. While first assigned to the Corsicana State Home (originally known as the State Orphans’ Home), the Parrie Haynes Ranch was then placed under control of the Texas Youth Development Council which later became the Texas Youth Commission. TYC operated various programs at the ranch throughout the years with mixed results. In the early ’90s, an agreement with TPWD was brokered and the department assumed management of the ranch as well as the responsibility to host outdoor learning and recreational opportunities for all ages, but with an emphasis on youth programs. Friends of the Parrie Haynes Ranch, a citizens volunteer support organization, helped facilitate this arrangement. The group continues to support TPWD’s management saying the department provides both good stewardship of the land and strong program development capabilities. The combination of these two factors appears to not just fulfill Parrie Haynes’ wishes regarding the “use and benefit” of her ranch for orphaned children, but perhaps would even have exceeded her wishes due to the wide range of young people impacted under TPWD leadership. TPWD works with the Texas Game Warden Association to provide year-round adventure activities and educational programs for Texas’ youth. The Parrie Haynes Ranch Equestrian Center is routinely used by the Texas Equestrian Trail Riders Association for trail rides as well as youth outreach activities. The Parrie Haynes Ranch hosts camps sponsored by the C5 Youth Foundation, formerly known as Camp Coca-Cola. The C5 program provides selected youth five years of intensive leadership experiences in a summer camp setting, year-round leadership development programs and community service, and preparation for continuing education and career development. With the Parrie Haynes Ranch as one of the summer camp settings, the Foundation invested $2.1 million in the property with the building of nine bunkhouses, two lodges along with a dining hall, office building and pool. TPWD has also coordinated use of the ranch with Boy Scout troops as well as with the Killeen Independent School District. A Temple Daily Telegram report indicated Gold Star families from Fort Hood as potential future users of the ranch. Members of the Friends of the Parrie Haynes Ranch group are concerned that a transfer to the DFPS could lead to a sale of the property. The land is believed to be worth perhaps $20 million and HB 244 clearly offers sale as an option. The bill also lists transfers of functions, activities and property between DFPS and TYC while TPWD responsibilities cease. Per the Telegram, filing of the bill was prompted upon the Center for Public Policy Priorities contacting Hartnett because of Hartnett’s background as “a successful trust attorney.” “I’m the House member most knowledgeable about state trust law,” Hartnett said. The merits of House Bill 244 remain something of a mystery unlike the plan for TPWD control of the Parrie Haynes Ranch which was statutorily-based, fiscally responsible and practical in its assignment and utilization of resources. It was a sensible approach to providing benefit for Texas youth while honoring Parrie Haynes’ final wishes. Transfer of the Parrie Haynes Ranch away from TPWD and its successful operational model would be a blow to the many who enjoy and learn from the wilderness experience the ranch offers. It would likely end up as an additional blow to rights Parrie Haynes believed she had in determining the final distribution of her assets. 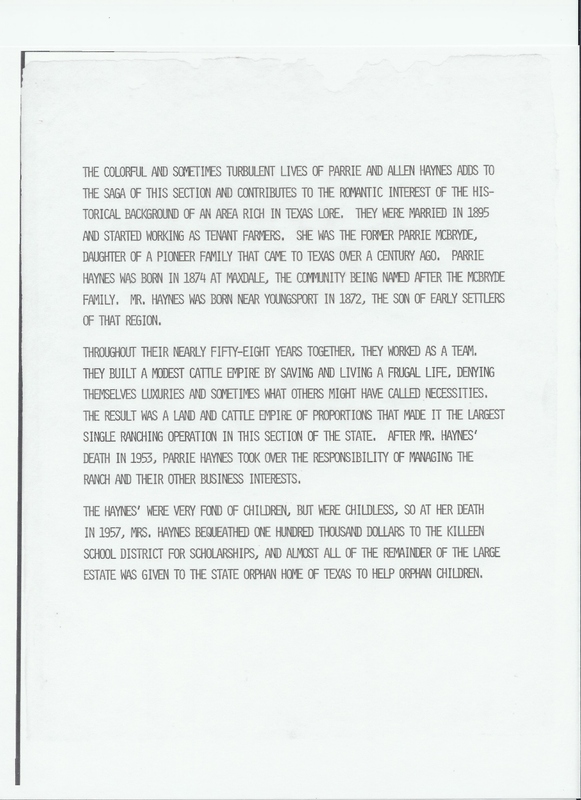 Probate disputes are receiving increasing media attention and the battle over the Parrie Haynes Ranch is no exception. Estate of Denial™ follows Involuntary Redistribution of Assets (IRA) cases in which probate venues and/or probate instruments (wills, trusts, guardianships, powers of attorney) are used to loot assets of the dead, disabled or incapacitated. These cases often involve use – or abuse – of the legal system to divert assets from intended heirs or beneficiaries. The Parrie Haynes Ranch provides important opportunity to highlight the unanticipated developments or challenges to one’s wishes that can occur with even the most properly prepared estate plans. Rep. Hartnett talked of debating “any day” in a public arena those who would “trample orphans’ rights.” House Bill 244 has been assigned to the Committee on Judiciary & Civil Jurisprudence and and presumably, a public hearing is ahead. Supporters of the Parrie Haynes Ranch likely join Rep. Hartnett in looking forward to that public discussion.